The year-on-year change in consumer prices was 0.5 per cent in October, according to Statistics Finland’s data. The inflation stood at 0.4 per cent in September. The slight rise in inflation was affected, for example, by increases in the consumer prices of the vehicle tax, hospital fees, dentist fees and Internet subscription charge from one year ago. Consumer prices were raised in October by increases in the vehicle tax, hospital fees, dentist fees, Internet subscription charge and rents from one year ago. Compared with the previous year, interest on housing loans and consumer credits as well as consumer prices of mobile phones went down most. Examined in the short-term, the rise of inflation was mostly influenced by higher consumer prices of petrol. The consumer prices changed by 0.2 per cent from September to October. 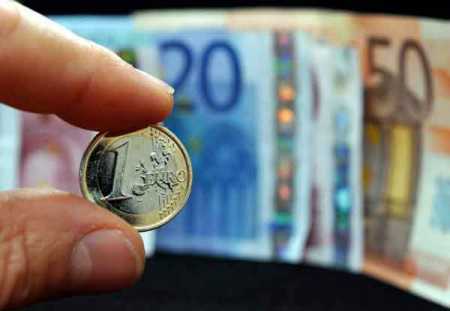 The rate of inflation in the euro area was 0.5 per cent in October, according to the preliminary data on the Harmonised Index of Consumer Prices. It stood at 0.4 per cent in September. The corresponding figure for Finland was 0.6 per cent in October. The Harmonised Index of Consumer Prices does not include owner-occupancy, games of chance, interests on consumption and other credits, fire insurance on owner-occupied dwellings or the vehicle tax. The year-on-year change in the Harmonised Index of Consumer Prices stood at 0.6 per cent in October and that in the Index at Constant Taxes measuring market inflation at 0.4 per cent. Over twelve months, the combined raising impact on consumer prices from changes in commodity tax rates was thus 0.2 percentage points. The month-on-month change in the Harmonised Index of Consumer Prices was 0.3 per cent and that in the Index at Constant Taxes 0.2 per cent in October. Source: Consumer Price Index, Statistics Finland.